All homes currently listed for sale in the zip code 90010 as of 04/18/2019 are shown below. You can change the search criteria at any time by pressing the 'Change Search' button below. "Stunning 1918 French Chateau on Wilshire, zoned for both commercial and residential use. Situated in the Hancock Park area, this 6 bd/3 bth home is the perfect spot to do it all - live, work, and play! Featuring hardwood floors throughout, original crown moldings, significant architectural details, and designer herringbone tile entry. The generously sized living room, w/ enormous fireplace & stunning architectural details, floods with light & provides a welcoming atmosphere. Family room w/ beamed ceiling & Carrera marble surround fireplace. Spacious kitchen w/ side door to patio. 2nd floor features 2 newly renovated bthrms w/ Carrera marble details & 3 bdrms; 1 bdrm offers fireplace, kitchenette & large balcony. 3rd floor loft offers extra space for storage, playroom and more. 2017 renovations include: new roof & systems (electrical, plumbing, HVAC unit/vents/ducts); Milgard double-pane/noise reduction windows; earthquake retrofit. Close to major freeways, museums, shops & restaurants." "One of the prestigious condo in Hancock Park. This exquisite condo is an EAST corner unit with an amazing view of Hollywood sign, Beautiful treetops views and sparkle Downtown LA views from your own private balcony & Master bedroom. It is almost 2,700 sq ft with 2 Beds + Den and 3 Baths. The open floor plan allows for a spacious living room with a huge master suite Beautiful wood flooring runs throughout the entire unit with an abundance of natural light. the granite kitchen counter top, stainless steel appliances with a cozy breakfast area. Plentiful space for Laundry room with closet space along with Mop Sink . unit has storage space. The building has recently remodeled Lobby, the common area. 24 hr a doorman with a security system. There are plenty of amenities including a pool, spa, and rec. room. It is located in a prime location of Hancock Park between Century City and Downtown LA." "LUXURY CONDOMINIUM IN PRIME LOCATION OF HANCOCK PARK. BUILT IN 2014. OPEN FLOOR PLAN. SPACIOUS 2 BEDROOMS.A PRIVATE BALCONY. LUXURIOUS DESIGNED KITCHEN WITH BREAKFAST BAR. STAINLESS KITCHEN APPLIANCES, RANGE, OVEN & MICROWAVE. EACH ROOM HAS WALK IN CLOSET AND NICE BATHROOM SURROUNDED IN BARRERA MARBLE AND WHITE OYSTER STONE. WOODEN FLOOR FOR LIVING ROOM & PLUSH CARPET FOR THE ROOMS. 2 CAR SIDE BY SIDE PARKING. EXTRA STORAGE AT THE GARAGE. 3RD ST. ELEMENTARY SCHOOL DISTRICT. DUAL PAN WINDOWS. IT IS A RESTING PLACE IN CENTER OF CITY." "Come preview this exquisite town home located in the prestigious Hancock Park area. It is the only home in the 29 unit Park Mile Villas community that has a split level and 2 private balconies. This unit features 3 bedrooms, 2.5 baths and a den with 10 ft ceilings with lots of windows on each floor and lots of natural light. The builder took no shortcuts with the custom contemporary designs and materials such as the high gloss Italian cabinetry, sleek fixtures in kitchen and bathrooms, custom lighting, state of the art touch screen stainless steel refrigerator and other stainless appliances. The floors consist of hdwood floors on the first level and plush carpet on the second. There are custom window coverings in just about every room. This property also includes a dog park! The panoramic views of the city and mountains are breath taking! The property is near BH, Hollywood, and Downtown with lots of dining/shopping close by. It is 5 mins away from one of La's best golf courses!" "PARKMILE VILLAS BUILT TO LIVE, BUILT TO LAST. ParkMile Villas hosts an intimate community of just 29 luxury condominiums. ParkMile Villas offers attractive three-bedroom condominiums which boast two-and-a-half bathrooms, spacious floor plans of 1,790 square feet, and generous private balconies. ParkMile Villas have meticulously executed living spaces featuring the height of contemporary interior design. Constructed by seasoned builders making use of the finest materials, these exquisite homes have sleek fixtures and fittings throughout; including Italian cabinetry, hardwood floors, custom tiling, and stainless steel appliances. Rare Opportunity to own THE MODELED HOME unit #202 out of 29 units in the building! Model Unit 202 Upgrade List: -Refrigerator -Washer and Dryer -Hardwood floor each rooms -Venetian plaster at the living room and den -Each room has designed painting -Wood shutter (each rooms , living room and kitchen) -Chandelier at the dining area -Crown molding at the master bedroom -Bidet at the master bathroom LUXURY INTERIOR DESIGN & WELL-MANICURED ROOFTOP GARDEN WITH PANORAMIC VIEWS Centrally located, those fortunate enough to call ParkMile Villas home can access Beverly Hills, West Hollywood and downtown Los Angeles in just a twenty-minute drive. The California coastline and LAX can be reached in under thirty minutes. PRICED TO SELL. A MUST SEE!!! 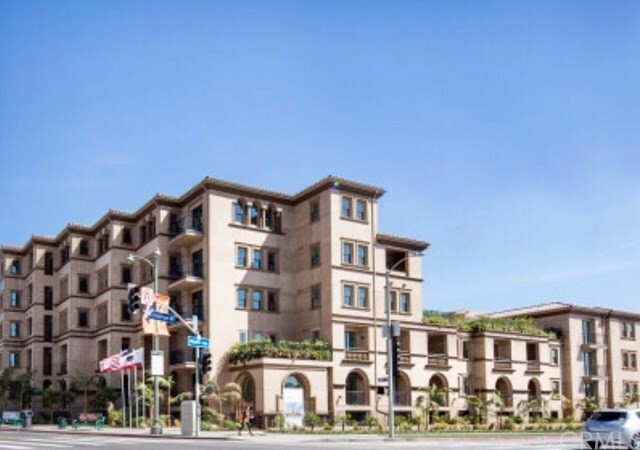 Contact Realtor KYLE LONGACRE to request showing @ 949-698-2645 or KYLELONGACRE@ADVANCESTATE.COM"
"A bright and airy corner unit with balcony is available for sale in the beautiful Park Mile Villas on Wilshire and Crenshaw. 3 bedrooms, 2.5 bathrooms, and den. Built to a very high standard in 2015, the unit features premium hardwood floors, a kitchen with stainless steel appliances and high gloss Italian cabinetry, large living room with balcony, separate dining area, a spacious linen cabinet for extra storage, and a walk-in closet in the master bedroom. Ideally located between Koreatown, Beverly Hills, and Downtown LA." "Welcome home to the luxurious Solair Wilshire Condo, the most sought high rise building with an exquisite amenities. Amenities include 7th-Level sky deck with glamorous views of Hollywood Signs and city views. Cool-water blue pool; spa; outdoor showers; private cabanas; BBQ area; upscale fitness center; club house; with kitchen offering coffee/latte service. Bulk item laundry and dog run area. High 24-hour security with doorman and concierge. Conference/meeting/business room. Ample parking spaces for guests. Steps to restaurants; coffee shops; markets; bars; metro line easy access just to name a few. Come and experience what Solair Condo has to offer." "Back on the market. The SOLAIR is one of the best prestigious High-Riss Condo in K-Town featuring unparalleled views and a sophisticated blend of floor-to-ceiling glass, steel, concrete and highest quality of materials. On-site subway portal for convenient transportation throughout the city. Close to historic Wilton Theater, CGV Theater, Restaurants and Market. This unit has very rare 700 square feet private patio for many purpose. Two Side-by-Side parking space and great views features beautiful hardwood floor, Bosch stainless appliances. Great amenities include POOS, SPA, CABANAS, BBQ, FITNESS, CLUB HOUSE, CONCIERGE and much more." "This modern elegant unit. Addition to 1430 square feet of Living Space, this unit has over 700 square feet Patio (one of the only 10 units in the building). The building/community, SOLAIR is an affluent address with the exhilaration and convenience of countless city luxuries. Solair life is filled with the beauty, style and elegance that reflects your personal accomplishments. Everything you need has already been considered. Dramatic lobby with granite, wood and water-scape, Business Center and Conference Room, Luxurious Sky Deck with pool, spa, private cabanas, function room, BBQ stands, Dog run, State of the art Fitness Center for cardio and strength training, Modern architecture with concrete steel and glass construction, Move-in entryways with double-door construction, On-site security and surveillance, Controlled access 24/7, Concierge service 24/7, Extensive on-site retail plaza offers the ultimate in convenience." "Luxury High rise Condominium in Mid-Wilshire District. Great locations in Korea-town. One of the most popular 2 bedrooms at the Mercury. This unit is located on the Southwest corner so it's very bright and night view of the West side is magnificent. Side by side parking. Amenities include 24 hour security, gated parking, three elevators, rooftop pool, spa, BBQ grills, exercise room, and breathtaking 360 degree of LA."